We'll be giving away this diabolical TRESE poster during FREE COMIC BOOK DAY, May 3. 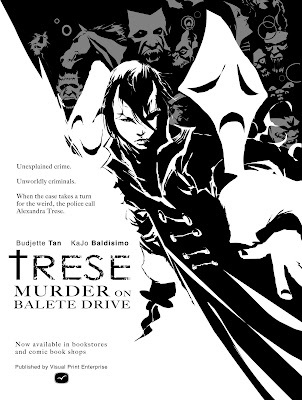 Buy a copy of TRESE: MURDER ON BALETE DRIVE and get a free poster. It's that simple! It'll definitely be available at Comic Odyssey, Robinsons Galleria. 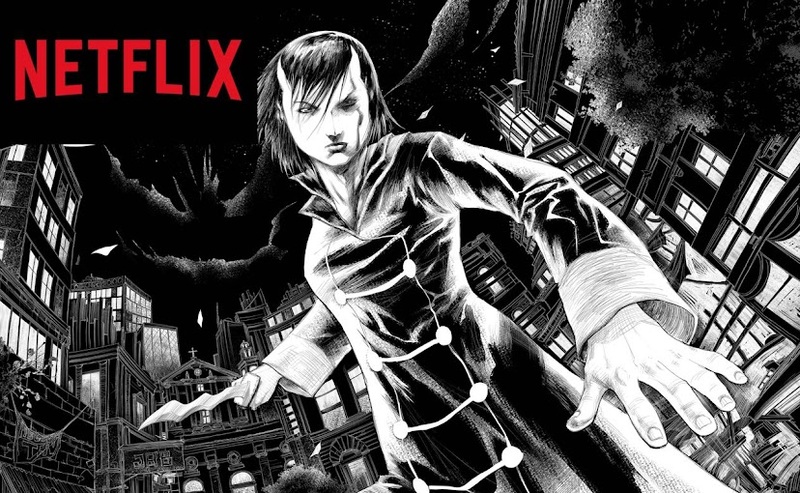 I'll update you guys if we'll make the poster available at other comic book stores. so, i read your book in a newspaper article. and i said to myself, "well, i can buy that!" but not really seriously look for it. until last sunday, i went to Pandayan Bookstore here in Tarlac(which by the way is the best bookstore ever! i always always get really funky books written by Filipino.) and i saw your book on the shelf. i said to myself, "hey, this is the book i saw in the newspaper! i need to buy this." i mean its rarely a chance i get to buy books i read in the newspaper esp. from bookstores here in Tarlac and this early, usually i needed to wait a year or so before i get to see one or buy it on the national bookstore in pampanga or baguio. on my bus ride home (yes, i live a bus ride from the bookstore.) i thought maybe i should start reading your book. (im a little bias with kikomachine komix so im kinda saving it for last.) but men, am i so wrong starting your book in the bus! who ever wrote that article in the newspaper, he was so right! you guys are like batman and robin of the komiks world (uhm... you know what i mean!) the pictures was great! the characters are greatest! the story was overwhelmingly familiar but told differently. Sorry for posting this here. But you emailed me a few years ago regarding Winston Pascual. Now I am trying to get in touch with him. Can you help? I am Cebu based although it pains me that you can't do any regional visits, and I didn't get a free poster with the komik but nonetheless I am happy to see people doing a proper comics unlike the things we see in a 10peso pang masa worth of commercialism crap 'komiks'. I highly recommend your book to my students. Hello Mr. Budjette ^_^. can you tell me when will you publish the compilation issue of trese komix?.. TRESE: MURDER ON BALETE DRIVE compiles the first four Trese stories. The next TRESE book will compile story # 5 to #8. And the third TRESE book will compile story #9 to #13. Those two books will be available sometime this year. If you're asking when will we publish the TRESE book that has all 13 stories, then the answer is, we're not yet sure. We do dream of eventually compiling it in a hardcover edition, but that maybe that's something we'll do later on. We're glad that you've enjoyed these TRESE mysteries! Some stores may have already run out of copies, so just ask them to order for you and reserve a copy. we're glad you enjoyed reading the book as much as we enjoyed making them.